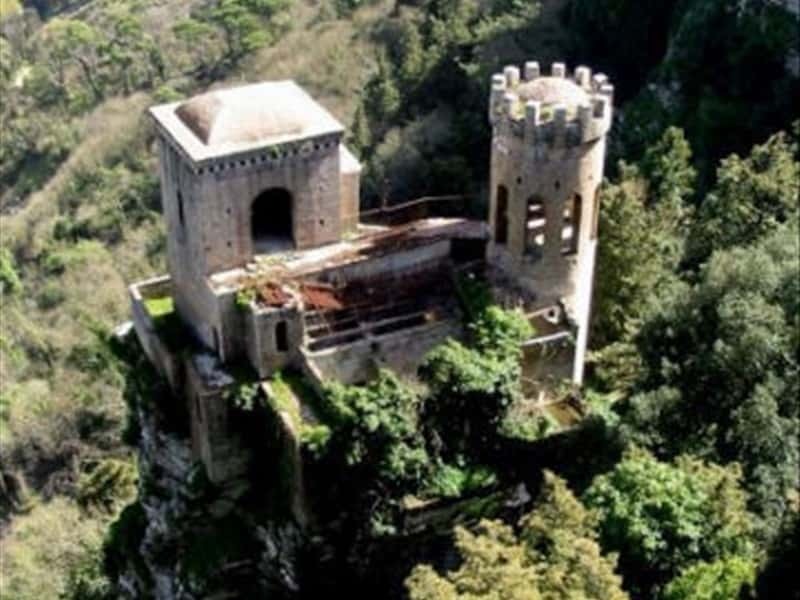 Erice is a town in the province of Trapani. The place name derives from the Sican-Sicel term "Eryx" (mount). In the VIII century b.C. it became an Elymian city and had a temple dedicated to the goddess of fertility Astartes (the Roman Venus Erycinia). Then it was a Greek city and a Punic one (as the imposing city walls testify). The Carthaginians destroyed it in 260 b.C and in 247 b.C. it was conquered by the Romans. After the fall of the Roman Empire it followed the vicissitudes of the rest of the island: it was a Bizanthine city, an Arab one (with the name of Gabal Hamid) and, finally, norman city. In the area where the ancient temple of Venus was set, the Normans built a castle whose remains are still visible now. The cathedral, dedicated to Madonna Assunta, was built in the XIV century with an isolated bell tower. The portich was added in the XV century and the interior was redone in the XIX century in neo-Gothic style. Inside it is possible to admire a statue of Madonna delle Grazie by Domenico Gagini. We also suggest to visit the Church of San francesco (XIV century), the Churchy of San Martino, with a beautiful wooden choir by Bernardo Castelli, the Church of San Pietro, whose monastery today hosts the Ettore Majorana Scientific Centre, the Church of Sant'Orsola (XV century), the medieval Church of San Giovanni Battista, with works of art by Antonello and Antonino Gagini, the Cordici Museum, with important Puni, Greek and Roman remains (including a precious head of Aphrodite of the IV century b.C.) and Palazzo Chiaramonte. This town web page has been visited 23,924 times.